“Urgent Need” for Giving Tuesday. It’s #givingtuesday and my wife reminded me that my donation to the ACLU foundation is due, so I I thought I’d mention this print again. “Urgent Need” was created a few years ago with the banner text that reads “An Urgent Need for a Renewed Sense of Compassion.” I feel that there’s an increasing amount of hostility, xenophobia and general unawareness both in the political landscape and in online and social media interactions in general. It’s increasingly easier to stay in a bubble of like minded people who all share the same viewpoint, and more isolated to different points of view, cultures and ways of being. A reminder to focus on a greater sense of compassion and human awareness is my goal for this image, traits which ultimately end up reminding us just how actually similar we all are on a human scale on the ride atop this hunk of rock in space. Originally my goal was to donate 20% of the proceeds of all sales of this print to the ACLU Foundation, but after a successful year, I’m in a better financial place to up the donation to 30%. The print is a five-color silkscreen print, printed by Danny Askar and measures 16” x 20.” The edition size is 300 prints, each hand signed and numbered and available for $40 plus shipping. With about 70 prints left before they’re gone, I’d love to see this print sold out before this year is over, so I can make the final donation and get going on to another charity print for 2019. If you’ve ever wanted to support what I do and believe in, this is the print. It’s not a big, super rare gig poster or super limited edition movie poster, but it is for a cause I believe in. Thanks for looking and for all the generosity you’ve already given this year, and happy holidays to all! Full purchase info and details available below. Thank you! Print size: 16″ x 20″ Limited edition of 300. Five-color hand-pulled screenprint on Madero Beach speckletone 100# cover stock. Prints are available now in the online store. what a difference a couple years makes! DesignerCon is back, and bigger than ever. This year’s DesignerCon is next week in Anaheim, from Friday, November 16–Sunday November 18 at the Anaheim convention center. I’m excited to be exhibiting again after a hiatus where instead I was a guest at Trekell Art Supplies’ booth doing live painting for a couple years. This year it’s all me in my very own booth, selling my gear to the masses. I’m bringing SOOOO much stuff you guys. So much. Four, count ’em FOUR brand new prints, some sold out rarities, sticker packs, all kinds of goodies. I’ll most likely not have time for sketches or small commissioned drawings but you never know, if it slows up I might possibly be persuaded, but too early to tell right now. If any, they’ll be extremely limited, so I can enjoy all the fantastic nightly entertainment and not taking work home every night as seems to be my custom during conventions. The first night: Friday, November 16 is the special VIP night, which will be your best chance to get the exclusives, but I’ll be doing my best to space out the gear over the whole convention. VIP night will have the best goods however, so if you can’t make it, get a poster buddy to hook you up! My first offering is a variant of my Primus with Clutch gig poster from last year. This colorway is entitled “Bad Acid” and features some hyper fluorescent inks on a natural stock. I sandbagged this one from last year’s release because while I knew I wanted a crazy psychedelic variant, I also already had several other variant colorways so this one got held back for a someday (if ever) future release. That someday has finally come for this year’s DesignerCon. Super limited edition of 25, each hand signed and numbered. These will have a strict limit of one per person. Meticulous print job by InHouse Silkscreen. Print size: 18″ x 24″ Limited edition of 25. Seven-color screenprint on natural 100# cougar cover. Each print is hand signed & numbered. $125 each. Next up is a brand new offering, the first in a new series entitled “Lepidoptera.” I’ve been playing around in Procreate and really enjoying the freedom to make truly enjoyable works, but I’ve mostly been using it for gig posters. I’ve had the itch to release a full color image that wasn’t hindered by the limitations of silkscreen, and “Lepidoptera 1″ is the first offering in that vein. It’s an 8″ x 10” archival giclee print on cold press natural cotton rag. A limited edition of 100 prints, each hand signed and numbered. Really excited with the quality of how these turned out. Special thanks to Dave Correia for the expert job on the printing. Print size: 8″ x 10″ edition of 100. Archival giclee print on cold press natural cotton rag. Each print is hand signed & numbered. $25 each. Next up is another limited edition held back from a previous release: a french speckletone stock variant from my recent Grateful Dead poster. Again, there were already several variants out in the original drop, I held this one back to do a little something special with it. Every poster from this variant run is hand embellished with white acrylic paint, making no two posters the same. These all have a hand touch and make them truly one of a kind. Again, there will be a strict limit of one per person on these. Shout out to Burlesque for their stellar work on the print job. Artist edition of only 25, each print is hand signed and numbered. Each print is hand embellished uniquely. Twelve color screenprint on French Speckletone stock. each print is uniquely hand embellished, no two alike. My final offerings in the “DesignerCon Exclusives” department are two colorways of “Desert Watcher.” It’s an art print version of my recent 311 gig poster. I knew from the start this one had a destiny both in gig poster and art print form, and I’m excited to finally offer it to the public. The blue colorway is a limited edition of 100, with the orange version in an edition of 75, all prints hand signed and numbered. Once again, strict limit of one per person on these. Thanks to The Half and Half for the excellent printing. Print size: 18″ x 24″ edition of 100. Six-color screenprint on Legion stone Colorplan stock. Printed by The Half and Half. Print size: 18″ x 24″ edition of 75. I’ll also be bringing several sold out prints, rarities and one off hand embellished prints. They’ll vary from day to day, but if you’ve been looking for a sold out print, now is your chance. Please note that there will be EXTREMELY limited quantities of each print, and they will rotate throughout each day of the convention, to try and give each day’s con-goers an opportunity, so check back often. There will also be a strict limit of one of each poster available per buyer to again, make everything as fair as possible. These WILL go quick, you’ve been warned! 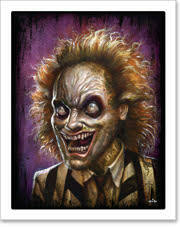 Will have several rarities and a handful of sold out older gig prints, a little different each day! And finally, sticker packs are back! I had a couple leftover from the storefront and previous convention, so I’ll have those on hand again. I’m running low though, so get ’em early! Very excited for this convention, gang. I’ll see you next week! contains three individual high quality vinyl stickers.